Ahoy, Seattle! 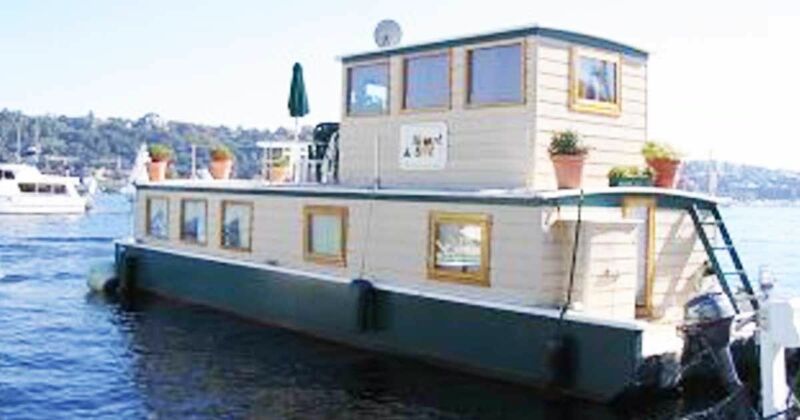 Home of some of the best floating dwellings to adorn the serene Lake Union harbor. If you happen to be passing through, the Heart & Sol rental will help you fully embrace the marina's best living amenities. Have we piqued your interests? Then come forth and visit this buoyant jewel with us. This home has cleverly sustained its boat-like demeanor. At the same time, it brings us a lovely wooden finish. 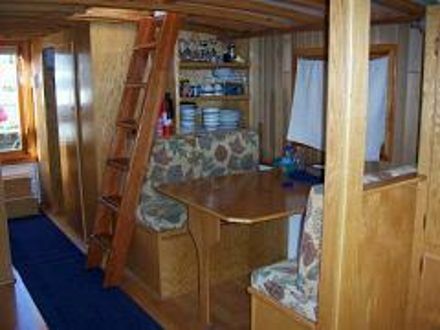 To top it all off, a lovely arrangement of potted plants transform the upper deck into a waterfront garden. 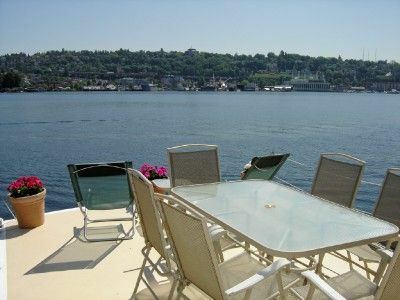 The deck is also ornamented by its picturesque views. A classy glass table enables guests to fully embrace their surroundings. Inside, the living area is brimming with glowing furnishings. White couches and curtains emit an angelic ambiance in the living area. 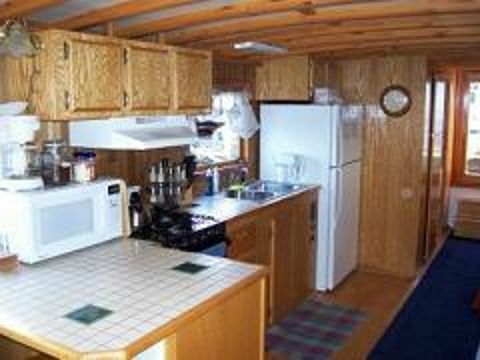 Sheer wooden walls and cabinetry accentuate the white-ware endowed galley. A clever shelving compartment makes it easier for on-board diners to access their eating utensils. Climb up the ladder to nestle into a smooth sleeping arrangement. 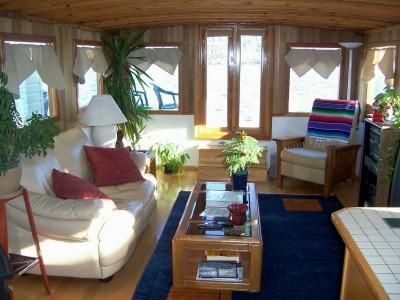 Delicate floral tones and a touch of greenery soothe this houseboat's settlers as they reach the end of their voyage. As we anchor up and finish our tour, we are delighted by the simplicity of the Heart & Sol's decor and design. 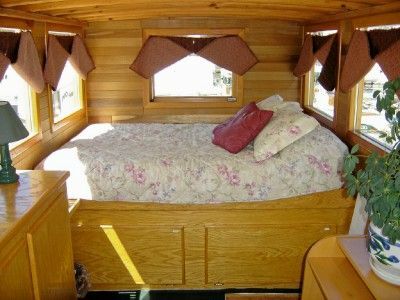 The floating home is packed with all the essentials, and its woodwork and natural embellishments are pretty remarkable too.